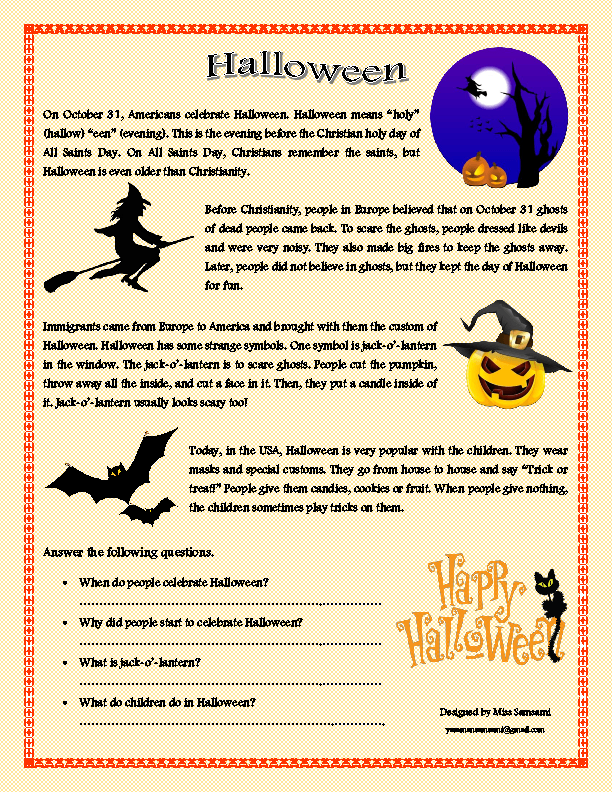 This worksheet includes a reading task for Halloween. It is about the history of Halloween and what children usually do on this special day. It is designed for elementary and pre-intermediate students. Hope it helps!